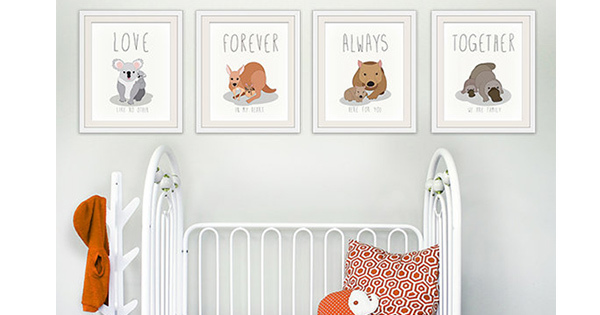 Celebrate Australia Day with these adorable Aussie animal nursery prints. Four Australian animals – koala, platypus, wombat and kangaroo – and their babies. $47 from Wall Art for Small Fry.